I have a list, in the list is a look-up column referencing a document library. (n.b. 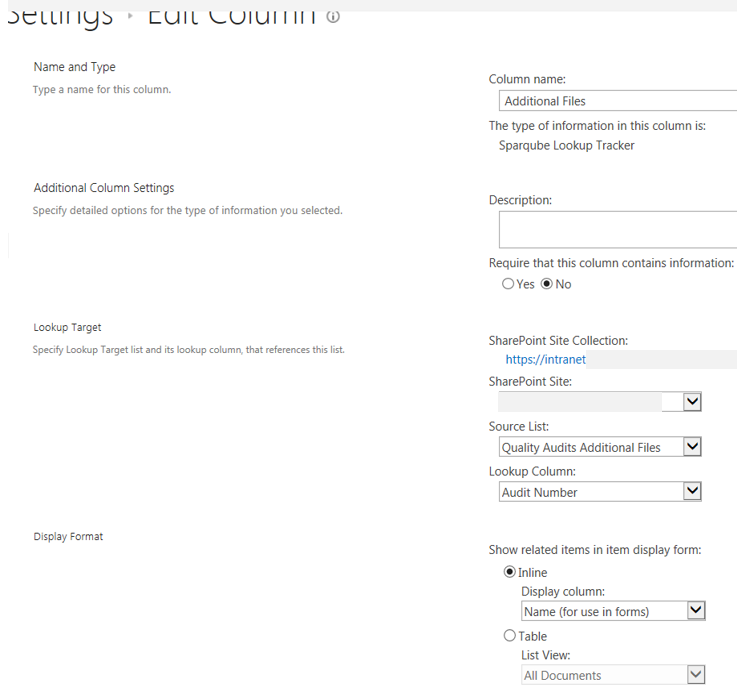 the Lookup column is actually a 3rd party column a Sparqube Lookup Tracker, but is a look-up column). Is there a way to change the behaviour of clicking on a link to make it open in a new tab in the browser instead of opening in a tiny pop-up window? 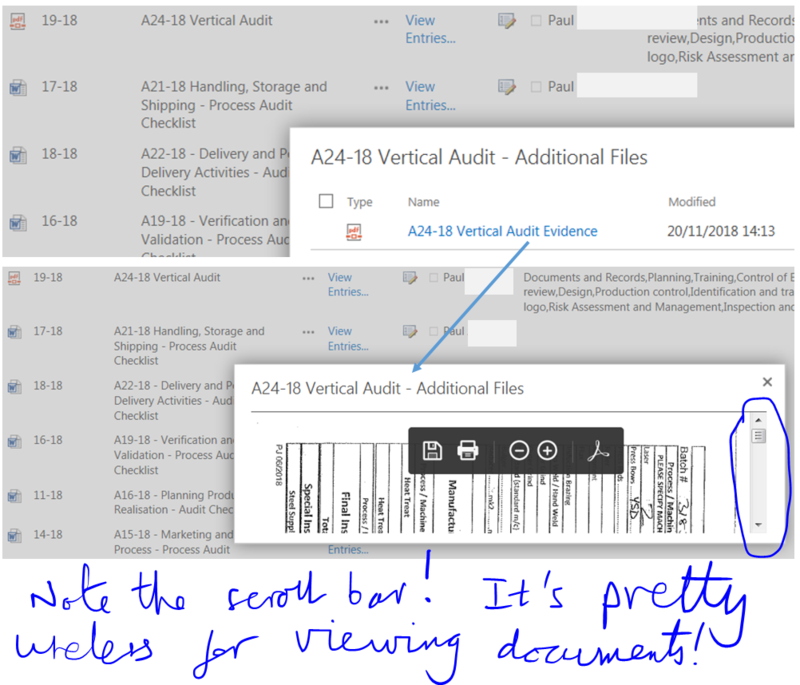 The documents are pdfs - they open in a tiny window, so it's useless at present. If they were links to e.g. Word documents I guess they'd open up in Word. List Settings>Opening Documents in the browser. I've fiddled a bit with the 'Display Format' setting, but it doesn't make any difference. 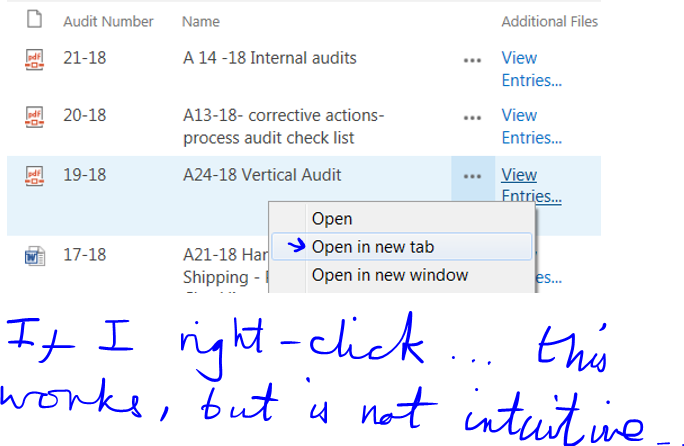 Right clicking and selecting "Open in new tab" works, but it's not obvious for users to do this! Browse other questions tagged document-library lookup-column document or ask your own question. Display form containing lookup field opens new window, how to change this? Can I display some documents in my browser and others using their native applications? Can I search on metadata of my list or document library?